A powerful magnitude-6.4 earthquake has struck the popular Indonesian tourist destination of Lombok, killing 14 people and injuring hundreds, the country's disaster mitigation agency says. 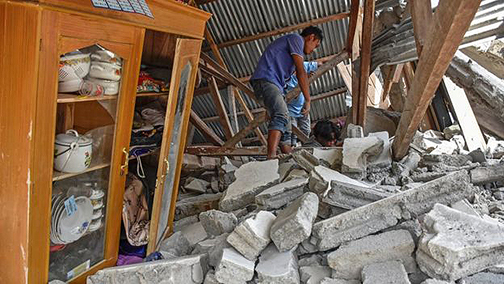 The quake damaged more than 1,000 single-storey houses and taller buildings and was felt in a wider area, including in Bali, where no damage or casualties were reported. 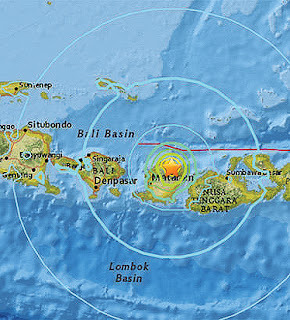 It hit the northern part of Lombok island early on Sunday morning when many people were still sleeping. 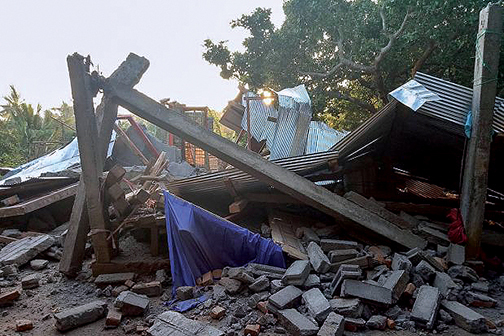 "We jumped out of our beds to avoid anything falling on our heads," said Jean-Paul Volckaert, who was woken by the quake while sleeping in the Puncak Hotel near Senggigi on Lombok. 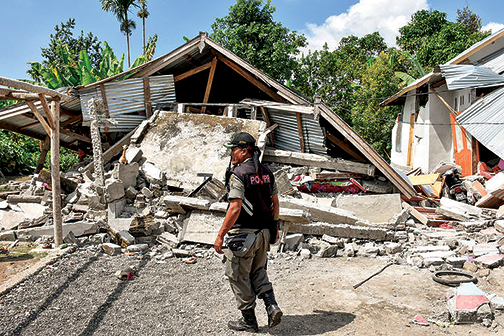 Disaster mitigation agency spokesman Sutopo Purwo Nugroho said the number of casualties could increase as information is still being collected from across the island. He said the East Lombok district was the hardest hit with at least 10 deaths, including 30 year-old Malaysian national Isma Wida. 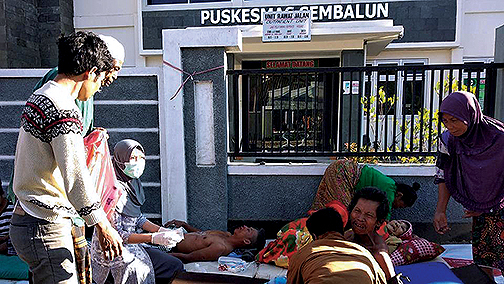 Ten people in the district also suffered major injuries, another 10 people had minor injuries and dozens of houses were damaged, Mr Nugroho said. Mr Nugroho said most of the fatalities and injuries were caused by falling slabs of concrete. In a short statement to the ABC, the Australian Consulate General in Bali confirmed that no Australians are believed to be among those affected at this stage. The Consulate General said it has been in contact with local authorities and are monitoring the situation closely. Earlier, Mr Nugroho tweeted pictures of houses with collapsed roofs and walls. Authorities are searching collapsed homes looking for more victims. 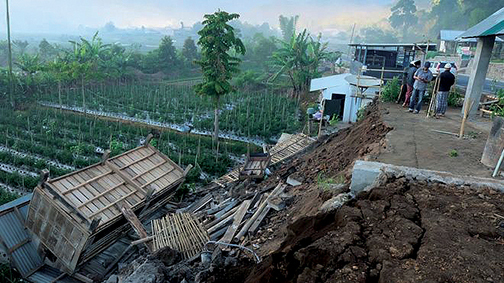 Mr Nugroho said the earthquake also triggered a large landslide from Mount Rinjani, a popular trekking destination. "Rinjani mountain climbing is closed temporarily because there are indication of landslide around the mountain," Mr Nugroho said in a statement. The earthquake struck at 6:47am on Sunday (local time) and was only 10 kilometres deep, a shallow depth that would have amplified its effect. According to Mr Nugroho the initial earthquake lasted for just 10 seconds. The second struck less than a hour later. Quakes are common in Indonesia, which is located on the seismically active "Ring of Fire" that surrounds the shores of the Pacific Ocean.